Came the need for a holiday and some time to unwind. While I have taken some time off of writing for the holidays, here’s a look back at a devotion that is no doubt as relevant today as it was when I wrote it. Click here to view today’s devotion. WORKS OF THE FLESH: Jealousy. I serve as the pastor of a small country church in a part of New Jersey the rest of the world doesn’t know exists. One of the greatest things about the church that I serve has nothing to do with the size of it’s physical space, or the amount of the material resources our church community has, or the amount of people that come filing into worship on any given Sunday. What makes the church I serve so awesome is the gigantic heart and spirit of the community itself. What is unfortunate about such statements is that they are covetous in nature. When we focus on all of the things we don’t have we overlook all of the things we do have. By focusing on what we lack we end up finding ourselves wishing we had those things, rather than being grateful for all that God has given to us. We also fail to realize that we have things that those other communities lack. 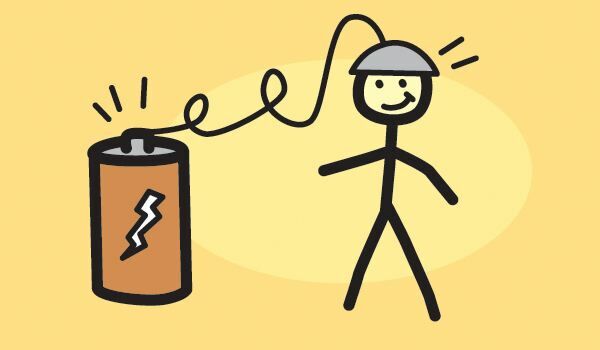 What’s more, rather than working to use the resources we DO have for the glory of God and the coming of God’s Kingdom, rather than using those resources to bring God’s hope, healing and wholeness into this world, we find ourselves using our limited resources to compete against other churches. Why? All because we have been consumed by jealousy. As I said above, I serve as the pastor of a small country church in a part of New Jersey the rest of the world doesn’t know exists. We are a church of limited resources, a church relatively small in number, a church without a screen or a projector or a praise band. As for a super hip pastor…well, I will let others be the judge of that. But one thing we do have is the presence of God, the presence of the Holy Spirit and the power of Jesus Christ working within us to bring about change in our community. We have big hearts, a passion for serving others, a deep desire to worship God through servant leadership, and a desire to be agents of God’s hope, healing and wholeness. We may not have a ton of money, but we have all that we need to do the work that God is calling us to do. Rather than being someone else’s church, start being the church God has created you to be. Be authentic to who you, as a church community, are. If you do that, if you are good stewards of all that God has given you, and if you are faithful to Christ and his mission in this world, then you will be the community that blesses many as well as the community that is truly blessed. Lord, help me to see all that you have given me rather than being focused on the things I think I lack. Amen. Every day over the last few weeks have been filled with reminders that this world is just not right, that things are just not as they should be. We have Christians, Jews and Muslims who are losing their homes and their lives as the result of religious extremism and intolerance. We see the tension and division over racial inequality in the United States growing ever more stark in the light of the tragic events of Ferguson, Missouri and now in Staten Island, NY. We see people going missing, active shooters in schools and public buildings, and other horrific events jumping out our TV sets and into our very own communities. All of this in time for Christmas. In times like these, and perhaps in general, people enter into the Christmas season a bit on the cynical side. What’s this Christmas holiday? You see signs that read, “Keep Christ in Christmas”, but that just leaves most people with a BAD TASTE in their mouths. After all, where is God? Where is Christ? What good is a Christ or a Christmas that masks the pain of others and celebrates the advent of BIG BUSINESS and the pursuit of abject materialism of the haves over and above the abject poverty of the have-nots? What good is Christmas? As I have written in the past, so I still maintain, there are really no answers that can adequately satisfy us when it comes to why God and evil coexist. Then again, the non-existence of God does not eliminate the reality of evil, so that really isn’t much of an adequate alternative either. What’s more, these questions also remind me of “Happy Xmas (War Is Over)” by John Lennon. In it he starts the song off with these lyrics, “And so this is Christmas, and what have you done? Another year over and a new one just begun.” The fact of the matter is, we can ask what good is God, or what good is Christ, or what good is Christmas; however, the question we really should be asking is, what good are we? That is not to say that we are bad and to interpret the question that way is to miss the point John Lennon is making. We can look to God or to Christ or to Christmas and wonder where the magic is, all the while continuing on living our lives separated from the hurt of the world. But what good is that? How does that disconnected, finger-pointing approach help make this world a better place? Not to mention, it also mischaracterizes Christ/mas and shows that we have a deficit in our own understanding in what it means for us to experience the nativity of Christ in our lives. The Nativity story is not only a reminder of Immanuel, of “God with us,” but it is also a reminder of the fact that through Christ, “God is in us.” The nativity for us is not the birth of a baby 2,000 years ago; rather, it is the birth of Christ in our very own hearts. And that birth, that nativity, changes us to reflect the light, the love, and the goodwill of Christ in the world. To translate that to words that actually mean something, we are to be the Christ we wish to see in the world. That is what God is CALLING US TO DO. And so this is Christmas, what will you do? Will you watch the year expire only to continue on disconnected all the way through? Or will you, to quote Gandhi, be the change you wish to see in the world? Will you stand up against inequality? 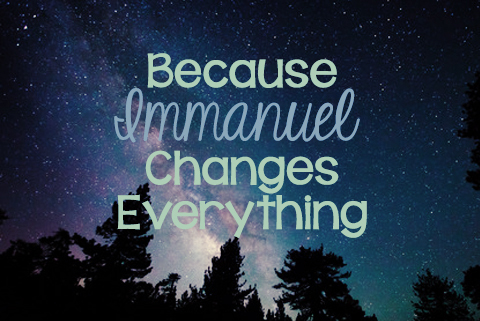 Will you be the ushering in of Immanuel, of God with us, of Christ who is the lgiht of the world? Each and every day we are called to make a difference. We may not be able to change the entire world and we may not be able to eliminate evil, let alone explain why it exists; however, we can be living proof in the lives of others that God is real, that God is love, and that God is working through Christ in us to bring about hope, healing and wholeness in the world. Game on! Lord, I thank you for always being preset me, and thank you for revealing your presence in me. Let me witness to that Good News and strengthen me to actively work for change in the world around me! Amen. While it is important to keep moving forward, sometimes it is also important to pause and look back at what we’ve learned from the past. With that in mind, let’s take a look at this post from November 2013. It is just as relevant now as it was then. When it comes to how Christians should treat each other regarding theological and doctrinal differences, there is a seventeenth century quote that says, “In the essentials unity, in the non-essentials liberty, in all things, charity (meaning love).” Yet, it seems as if that is much easier said than done in Christianity, or any religion for that matter. People tend to invest themselves in their religions, and they identify themselves by their beliefs, and so doctrines and theologies become awfully personal. As such, attacks against one’s beliefs often ends up getting translated as an attack against oneself. I have, no doubt, been both on the receiving and the giving ends of those attacks. If we are honest, most of us have been. Sometimes when one questions someone’s beliefs, he or she is not meaning to “attack” at all; however, it gets interpreted that way because of the personal nature of faith. Yet, there are many times that one just vehemently disagrees with the beliefs of another, often feeling that their beliefs are threatened the opposing beliefs of another, and so they react in ways that are both spiritually damaging and ungodly. Sometimes it isn’t even beliefs that called into question, but personal practices or forms of expression. For instance, I have been questioned before because I have eight tattoos. 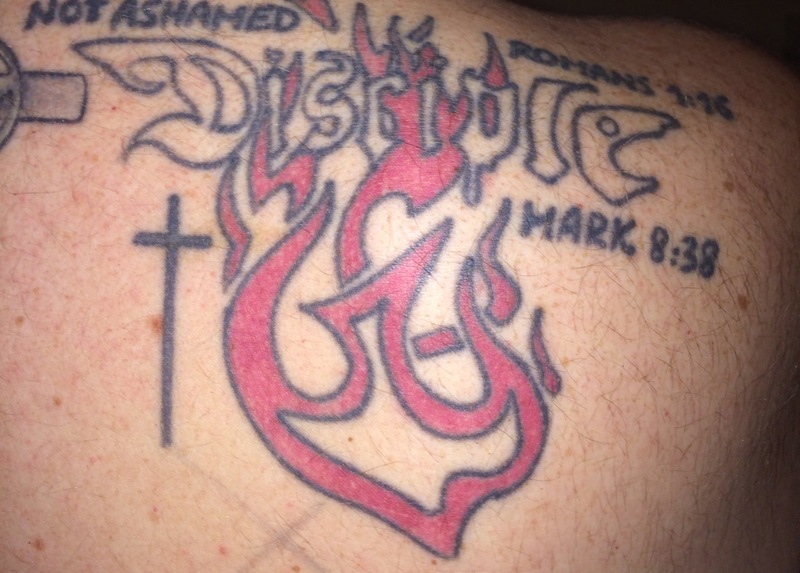 I have been asked, “What would Jesus think of you having those tattoos? Surely, you must know that Jesus was a good Jewish boy and he would not have condoned your marking your body up like that.” What does one say to such a comment? It is true that Jesus would not have been down at the tattoo parlor getting WWJD and fish symbols tattooed to his body; however, it is also true that Jesus wouldn’t have been eating shrimp. He wouldn’t have eaten pork. He wouldn’t be wearing clothing with mixed fibers (e.g. shirts made with cotton and polyester). Yet, the majority of Christians have no problem eating and wearing such things. Of course, I could go on quoting Jesus on what defiles a person, or perhaps quoting Paul on how Christians are free to do all things in Christ, though not all things are beneficial. But that is beyond the point. How do we, as people of faith, live into the quote above? First off, what are the essentials? It seems that there are no groups of Christians that can agree on just what the essentials are. 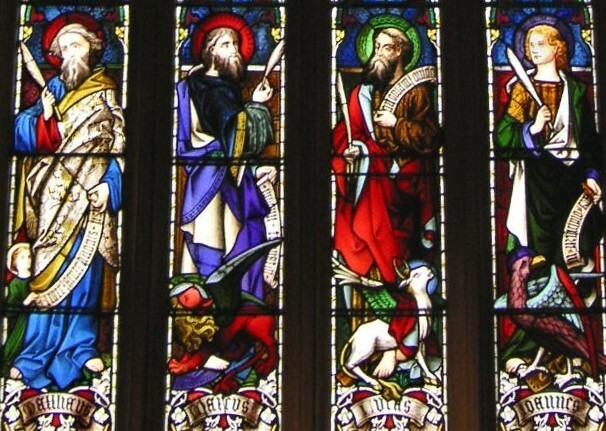 One group will hold the Apostles Creed as the essentials; however, other groups might dispute one or more of the Apostle’s Creed as essential. What’s more, even if they accept the Apostle’s Creed as essential, they might interpret its parts differently than others, leading to conflict. If people can’t agree on what is essential, then it is impossible to move beyond to what is non-essential. Where is charity in all of this? Where is love? Thankfully for us Christians, Jesus answered what is MOST important for all people of faith, and I will extend this decree to all people of faith…and not just Christians. What is most important, what is essential, is this: that you LOVE God with all of your being, and that you LOVE your neighbor as yourself. 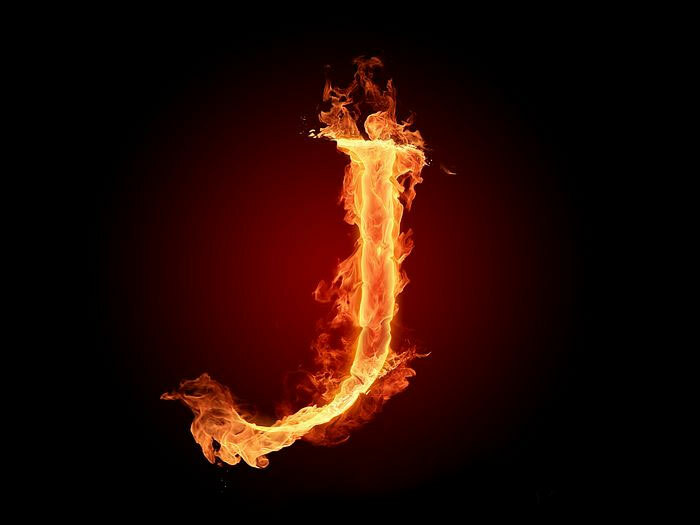 For Jesus, those two commands summed up all of the laws of Judaism and were what was essential to that religion. As such, that is what is essential for Christians as well, and be hard pressed not to see that as essential for all people, regardless of faith. If we all were more unified in our LOVE of God, as opposed to our LOVE of OUR IDEA OF GOD, and if we were all unified in our LOVE OF NEIGHBOR, then we would find out that the non-essentials would fade away and that CHARITY would rule the day. This is what we, as beings created in the image of God, are called to do…to LOVE and to never cease in that LOVE. Lord, give me the grace to be graceful and give me peace enough in my own beliefs so that I do not feel threatened by the beliefs of others. In you, I am secure. Fill me with your love so that I may, in turn, love others. Amen. Do you know Ruth? Some people might be saying, “sure, I know a ‘Ruth’ or two.” So, I will ask this question again, do you you know Ruth? I am not referring to someone you might know with the name “Ruth” who may or may not be among your family, friends, and/or neighbors; however, I am referring to the Biblical character of Ruth, who happens to have her own book in the Hebrew Scriptures. In fact, out of all of the books that bear a person’s name throughout all of the Bible, Ruth is just one of two books bearing the name of a woman. What’s more, Ruth wasn’t even a Hebrew by birth; rather, she was a Moabite. In fact, the author of Ruth reminds us that she is a Moabite seven times, and that she was from the land of Moab (in other words, she’s a Moabite) four times; that’s a total of eleven times within four short chapters, which is the length of this small, yet important, book. Now let me ask, how many of you know Moabite when you see one? 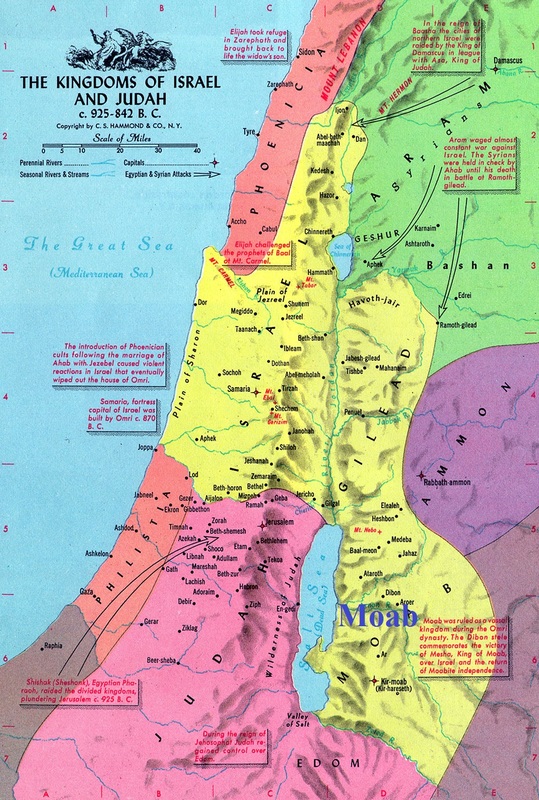 The fact is that Moab was a kingdom that existed in what is now modern-day Jordan. The Moabites worshiped the god Chemosh and would, as was customary for the time and geographical location, often offer human sacrifices to their god. This kingdom also found itself at odds with the Kingdom of Israel, which eventually split into the kingdoms of Israel (in the North) and Judah (in the South) following the reign of Solomon. To make matters worse, in the eyes of the Israelites, Solomon had built a temple to Chemosh to help promote trade between the two kingdoms. That may have been a wise political move, but it did not sit well with the devout followers of Yahweh, the God of the Israelites. So, Ruth was from a Kingdom that the Israelites detested; yet, there we see her not only prominently displayed in Hebrew religious literature, but also prominently revered in Hebrew history. As it turns out, this Moabite woman named Ruth ended up marrying a Hebrew man named Boaz (read the book of Ruth for the full story) and bearing him a son named Obed. From there we find out that Obed was the father of Jesse who, in turn, was the father of David. Yes, as in King David…arguably the greatest King that Israel ever had. What an odd, odd story. What kind of people attest to their King being born of a woman who was not even one of their own? And don’t forget the ancient Mosaic law that forbid the Israelites from marrying outside of the Hebrew gene pool for fear that the they would forget their covenantal relationship with God (Deuteronomy 7:2-4). Yet, here is Ruth, a convert to Judaism from Moab (the enemy of Israel), shown to be the mother of Israel’s greatest King…and the ancestor of, if we believe the Gospel recording of lineage, Jesus of Nazareth. The power of this story is that it reminds us that GOD does not choose sides, or favor one people over the other. It does not matter who we are, what religion we do or don’t claim to follow, or anything else we humans choose to be divided over, God is the LORD of us all. And God will choose ANYONE who is open to the call to LOVE GOD with all of our being and to LOVE OUR NEIGHBOR as ourselves. That is what the LORD requires of all creation…LOVE. Ruth was filled with LOVE. She LOVED GOD, she LOVED HER NEIGHBORS, she even LOVED HER ENEMIES, and God blessed her for it. And, as with all people who have been truly blessed, Ruth BECAME A BLESSING to and entire kingdom of people, and went on to be a BLESSING to many throughout the whole world through the followers of her descendant, Jesus of Nazareth. I pray that you, too, will open yourself up to GOD, who is the ULTIMATE REALITY, just as this remarkable Ruth did so many years ago! LORD, build up in me the faith of Ruth that I may boldly go where you lead me and boldly love everyone, no matter how different they are from me. Amen.